I’ve always enjoyed being fit and healthy and two years ago I hired a personal trainer to help me progress. He taught me how to weight train and really ignited my passion for training. I decided to become a PT myself and qualified in Feb 2014. Since then I have been working in a large gym as a self-employed PT and currently deliver approximately 20 sessions per week as well as group fitness classes. 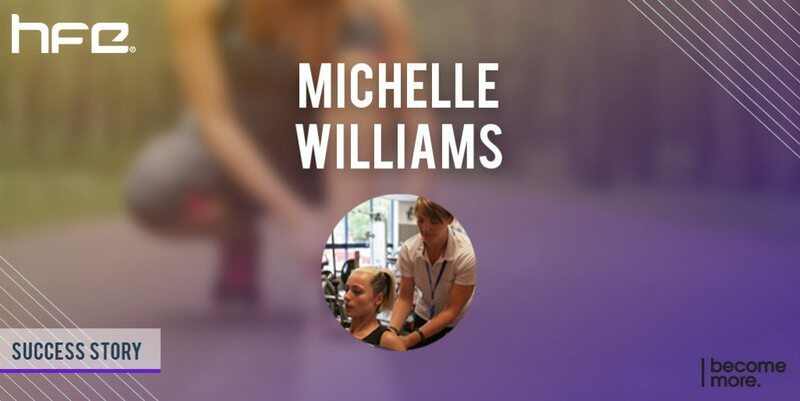 I chose to complete Exercise Referral because I wanted to broaden my knowledge and understanding of certain health conditions so that I can be of more use to my current clients and able to accept new clients who present with such conditions. I completed my L2 and L3 with HFE and chose to use them again because of the quality of the teaching, and the approachable nature of the course tutors and leaders. I think they offer great value for money and are always on hand to help with the home-based element of the course. I most enjoyed learning more about the different health conditions and the ways in which I would be able to help clients to become fitter and stay active despite them. I also enjoyed the classroom-based days because it’s always great to meet other PTs who work in different situations and have different experiences of the same role. I found completing the coursework in a short space of time before the course challenging- mainly because I work full time and am busy anyway. I would advise others to ensure that they leave plenty of time before the classroom based course to complete all the online learning and assessments first. The standard of teaching is excellent. The course leaders really know the subject area well and have had personal experience of working as PT’s. They make the whole day a very enjoyable experience and are very inclusive of everyone on the course. I am quite an independent person so I never really asked for much assistance. However, I know that my course tutor was only a phone call or email away throughout and would have been more than happy to help me with any element with which I was struggling. Feedback from tutors is always helpful and positive too. They never make you feel like you’ve done it ‘wrong’, and instead help you to see how you could have simply made it ‘better’. The course manual is very easy to read and the internet resources are excellent. There are online tutorials and webinars too which are useful as people tend to have different styles of learning and retaining information. The social media groups also provide an opportunity to meet up with other learners and ask questions about the course – which course tutors will respond to if necessary. Self employed PT in a local authority gym. I plan to take the L4 course in Obesity and Diabetes management in Sept 2015. My long term career goal is to become a weight loss specialist and to work within a residential setting where clients come for weight loss ‘retreats’. I particularly enjoy being outdoors and working with bootcamp/group fitness style training, as well as introducing people to weight training and healthy eating.